Thousands of UK private rental sector landlords are leaving themselves exposed to some of the worst tenants around by failing to carry out basic tenant reference checks, periodic inspections and enforcing the terms of tenancy agreements, according to a national survey conducted by insurance firm AXA. The research revealed that almost 60% of tenants admitted to breaking the terms of their assured short-hold tenancy agreement (AST), and a 30% had broken the law in relation to their rental property. 26% of tenants admitted to paying rent late (equivalent to 2,158,000 tenants across the UK). 10% of tenants admitted to having done a moonlight flit to avoid paying the landlord money (equivalent to 830,000 tenants across the UK). 18% of tenants admitted to keeping pets in the property without the landlord’s permission (equivalent to 1,494,000 tenants across the UK). 15% of tenants admitted to receiving complaints from neighbours for excessive noise (equivalent to 1,245,000 tenants across the UK). 10% of tenants admitted that they’ve had the police called to the property. While troublesome tenants remain in the minority, UK private rented sector landlords do have a legal responsibility to ensure that their rental properties are not used for criminal purposes. Under the Misuse of Drugs Act, UK PRS landlords could face prosecution if a tenant is found to be producing cannabis or banned substances in their property. 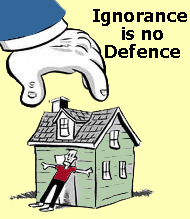 Ignorance is no defence when it comes to the letter of the law. AXA warned that while it is the landlord’s responsibility to keep their rental properties in order and regulations are becoming stricter, with the introduction of new legislation intended to place more onus on landlords, including the new requirement to conduct immigration checks on prospective tenant applicants. Many landlords are still failing to carry out basic tenant reference checks on their tenants or even visit their properties at all during the term of the tenancy. However, the research did discover that many UK PRS landlords are improving some of their working practices, with an increase in the number of tenancies granted on a formal assured short-hold tenancy agreement (AST) rising to 75% compared to just 52% recorded at the beginning of 2013. Male – 18% more likely to have infringed the law in relation to their rented property by committing a crime on the premises, leaving without paying or theft. Tenants over 55 – Only 30% of tenants in this age category had broken the terms of tenancy agreements. A similar pattern emerges when asked about outright criminal behaviours. Under £700 pcm rent – just 2.5% of tenants said they’d committed a crime on the landlord’s properties, this figure rises to 25% where rental prices are over £700 pcm and the instance of absconding tenants and excessive complaints are double the UK average. The West Midlands region had the highest proportion of tenants (16%) who admitted to breaking the law or breaching the terms of their tenancy agreements, compared to 8% across the whole of the UK and just 3% in the most crime-free region of East Anglia, tenants in the West Midlands also came out worst on noise complaints, sub-letting and smoking. This was written by Mike Clarke. Posted on at 11:30 am. Filed under Referencing. Tagged AST, AXA, complaints, crime, criminal record, excessive noise, ignorance is no defence, immigration bill, income, insurance, landlord, landlord permission, landlords property, law, legal, legal responsibility, letting agents, money, neighbours, paying, paying rent late, pcm, per calendar month, periodic visits, pets, police, private rental sector, Private rented sector, prosecution, protect, prs, regulations, rent, rental property, research, stricter, sub let, survey, tenancy agreement, tenant, tenant reference checks, theft, troublesome tenants, UK, without permission, working practices. Bookmark the permalink. Follow comments here with the RSS feed. Both comments and trackbacks are currently closed.